Baylor won’t say which coaches are to blame for its sexual assault scandal. How are other schools vetting them? 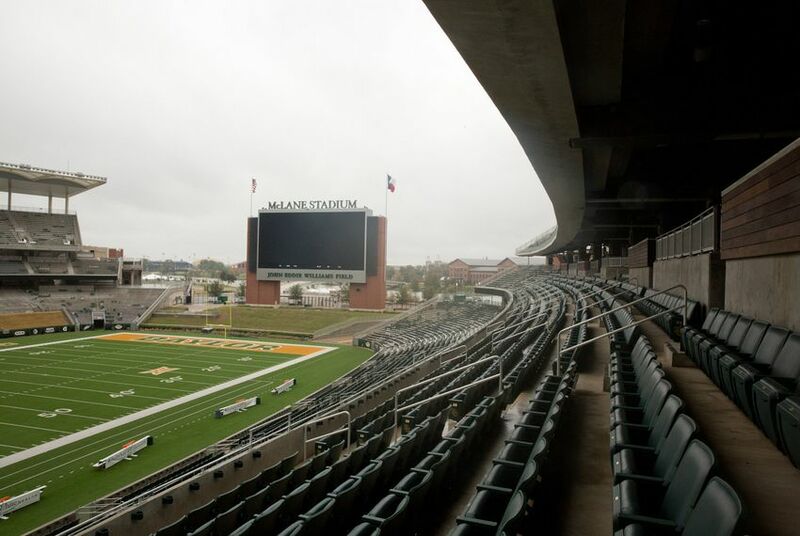 Football coaches who worked at Baylor University during a major sexual assault scandal are looking for new jobs at new colleges, but Baylor still won't publicly say whether those coaches did anything wrong while in their old jobs. A bid to better their football team’s offense put University of Houston officials on the defensive this past week. It’s a posture several schools have had to adopt in recent years after announcing they’d hired coaching staff – like UH’s new offensive coordinator Kendal Briles and offensive line coach Randy Clements – who had worked at Baylor University and departed under the cloud of a sexual assault scandal. Those universities, like UH, have been quick to offer assurances that their hires were carefully vetted, including through conversations with Baylor officials. But their attempts to set minds at ease have been hampered by one major issue: While Baylor has blamed "athletics and football personnel" for much of the scandal, it has never revealed publicly who specifically did what wrong. That stance has frustrated lawmakers, activists and other people at the coaches' old and new schools, and has prompted calls for more transparency from the private Waco university. A Baylor spokesman, Jason Cook, said the school shares limited information about the case with third parties due to ongoing litigation and attorney-client privilege. He noted that Baylor, as a private institution, is "not afforded the statutory protections that public universities have." He said the school tells potential employers details about the scandal that are already public – namely, what’s included in court filings and in a vague 13-page report released by the school's board of regents. “It’s the responsibility of the hiring institution to thoroughly vet its hires,” Cook said. The Tribune asked Cook if Baylor thought keeping the names of perpetrators private could cast an unfair pall over those innocent of misconduct. The Tribune also asked if this secrecy denied other schools of crucial information about a potential hire’s conduct on a previous job. And the Tribune posed a hypothetical, asking if Baylor would share information about a former coach — whose actions they knew had been flagged as problematic in the university’s review – with a school interested in bringing that coach onto its campus. University regents told the Wall Street Journal that 19 of the school's football players had been accused of sexual assault or domestic violence between 2011 and 2016, including four allegations of gang rapes. A lawsuit filed after that report alleged the actual number of players involved in wrongdoing was much higher. In 2015, Baylor retained an outside law firm, Pepper Hamilton, to investigate. The firm briefed the university’s board of regents on its findings the next year but produced no written report. Once the review was finished, Baylor fired its head football coach, Art Briles, who is Kendal Briles' father. And it released its own “Findings of Fact” document describing how Pepper Hamilton had concluded that the university responded inadequately to sexual misconduct cases. Without naming names, the report said “some football coaches and staff” improperly diverted misconduct cases from normal university processes and conducted “their own untrained internal inquiries” that “discredited complainants and denied them the right to a fair, impartial and informed investigation." Baylor’s report said some administrators had “directly discouraged” complainants from reporting and that coaches had met with people who made allegations against football players but then did not pass that information on to administrators outside the athletics department. There were 22 football coaches and support staff – including Art Briles – on Baylor’s roster for 2015, though allegations in the report are not confined to that year. The number of coaches and staff are similar in the three years prior. Since his firing, Art Briles has been unable to find new coaching work. A speaking appearance he was scheduled to make at a coaches convention was canceled this week due to "concerns." But other members of his staff, including his son, have moved on to positions elsewhere. The University of Texas at Austin's head coach, Tom Herman, was put on the defensive last year over the hiring of Casey Horny, a former member of the Baylor football staff who had supported Art Briles on Twitter after his firing. Herman said at the time that Horny “was vetted very rigorously through the athletic department and also myself and my relationship with him.” UT-Austin’s athletics director at the time, Mike Perrin, said in a statement last January that he “spoke at length with Coach Horny and reviewed his background and his role at previous universities” before approving the hire. "Coach Horny committed to Coach Herman and me that he is in total alignment with our culture of integrity at The University of Texas." Similar steps were taken at Arizona State University, which hired another former Baylor coach about a year ago. ASU also received a letter of recommendation from Baylor’s athletic director in support of the former Baylor defensive coordinator, Phil Bennett, according to AZ Central. And when Kendal Briles was hired by Florida Atlantic University – a coaching position he held between leaving Baylor and being hired by UH – university president John Kelly told the Sun Sentinel that officials had vetted Kendal Briles through the NCAA, Baylor and several of its own school officials, including its athletic director. “We didn’t find anything that we would be concerned about at that time,” Kelly said. Clements also held a coaching position between leaving Baylor and arriving at UH, at Southeastern University. The NCAA did not respond to a request for comment. Vetting went beyond "normal protocol"
“The candidates both agreed to an interview with our Vice President for Legal Affairs/General Counsel, who has extensive experience in handling Title IX matters and supervised our Title IX office for almost 15 years,” Rosen wrote in an e-mail to the Tribune. “The interview included discussions specifically about Title IX compliance,” which is not typical. Tracy, the survivor and activist, said UH’s hiring decision “sends the wrong message.” She said she spoke with UH’s football program last year and that it felt “kind of like a punch in the gut, when I read which school it was” that had made the hires. Both Kendal Briles’ and Clements’ memorandums of understanding with UH contain a morality clause that says the coaches can be fired if new information about their conduct at Baylor surfaces, according to the Houston Chronicle. But “merely having been on staff at Baylor and performing [their] job duties while allegations of misconduct were made” is not alone grounds for termination, the clause reads, in part. And he said Baylor is not aware of any potential employer contacting the attorneys, who are now at the firm Cozen O’Connor. He did, however, confirm that the school knows which former coaches' actions had been flagged as problematic in Baylor's own report. Disclosure: Baylor University, the University of Houston and Mike Perrin have been financial supporters of The Texas Tribune. A complete list of Tribune donors and sponsors can be viewed here.